How are you today? So many interesting tournaments going on right now in the world and so I thought to myself that this would be the perfect opportunity to challenge my readers’ skill with tactical gems taken from these same events. White is obviously better developed. White to play and win! 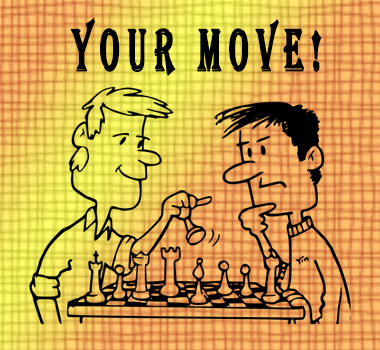 Colovic’s last move (Be6) was not the book move and is infact a serious miscalculation. White to play and win! If I had a nickle for everytime Black allowed his opponent to place a Knight on f5 free of charge…White to play and win! White had just played Bd2, apparently snaring the Queen. How does Black escape and win? In a winning position, White rushed things, his last move being 28.Rf7. Black returned the favour with 28…Nf5? When the game ended immediately with 29.R1xf5!. INSTEAD, how could Black have saved himself at move 28? A complex position, typical of the Winawer French. White is lost on the Queenside, Black is lost on the Kingside. The Kingside is more important! White to play and crush! Sicilians are always supersharp, complex and dangerous for both sides. The initiative is King. Black to play and crush! In an advantageous position White had just played the careless 22.b3? Black to play and crush! The question is whether White should sacrifice on g6? What do you suggest? Is the gm bluffing? White is playing fast and loose and has also achieved a wonderfully rich attacking position. How should he proceed? Next story Di Li running away with Seville. 7/7 with 2 to go!